No need for you to search around for information related to Cebu, the Philippines and Asia - we do that for you. Sunny Cebu Newsletter boils it all down and reports only the important material you need to know. "Travel The World Free As A Travel Writer" Would you like to enjoy VIP treatment wherever you go . . . FREE travel and flight upgrades . . . FREE gourmet dining at Michelin-starred restaurants . . . FREE five star accommodation in the world’s most luxurious hotels . . . FREE entry into sports events and sold-out shows . . . celebrity welcomes at locations not open to the general public? 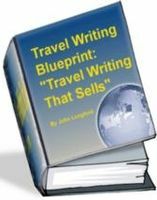 If you want to share the idyllic lifestyle and enjoy the privileges top travel writers enjoy you need the information revealed in these travel writing blueprints. "When you take stuff from one writer, it's plagiarism; but when you take it from many writers, it's research."